Posted on 24, November 2017 by EuropaWire PR Editors | This entry was posted in Germany, Healthcare, Science, Technology and tagged GREWIS project, GSI, Professor Claudia Fournier, radon therapy research. Bookmark the permalink. Darmstadt, GERMANY, 24-Nov-2017 — /EuropaWire/ — A multi-year research project led by the GSI Helmholtzzentrum für Schwerionenforschung has been investigating the anti-inflammatory therapeutic effect, as well as the risks, of treatment with the inert gas radon. The project has now received a green light for continuing this research. A total of €4 million will be available to it in the coming four years, with €1.9 million of that amount going to the groups working at GSI. The radiation biologist Professor Claudia Fournier from the Biophysics Department of GSI is the overall coordinator of this joint project, in which GSI is cooperating with TU Darmstadt, Goethe University Frankfurt, and the University of Erlangen-Nuremberg. A total of seven work groups from four institutions are working on this research project. The Karlsruhe Institute of Technology (KIT) is the project’s sponsor. A recent kick-off meeting on the GSI campus in Darmstadt marked the beginning of the new project. 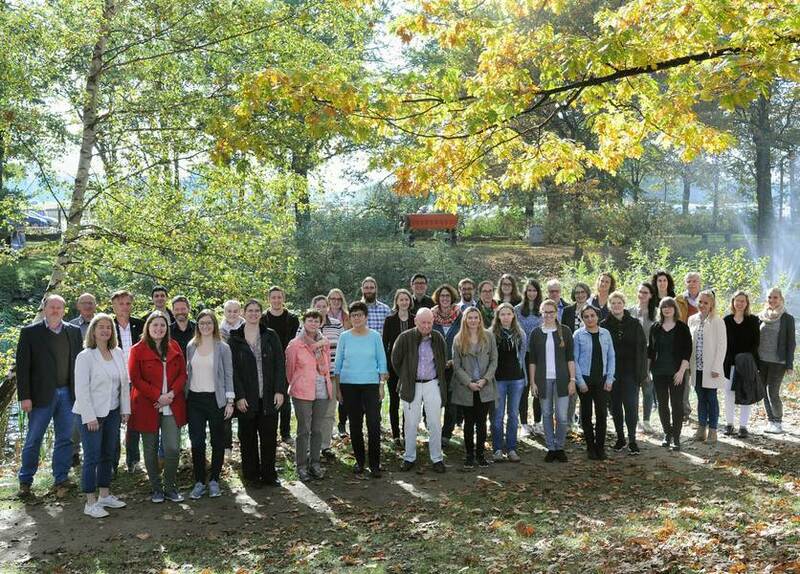 It was attended by over 30 participants from TU Darmstadt (Department of Biology), Goethe University Frankfurt (Centre for Radiotherapy), the University Clinic Erlangen, and the biophysics department at GSI, as well as representatives of KIT. The radioactive element radon is used in the form of baths or inhalations in healing caves and baths to treat many patients, and it has met with success. The pain-relieving effects of low-dose radon therapies for patients with painful chronic inflammatory illnesses have been known for centuries on the basis of experience. These therapies are used for diseases of the locomotor system such as rheumatism and arthrosis, as well as diseases of the respiratory system and the skin, including neurodermatitis and psoriasis. But even though it is nowadays assumed that low doses of radiation can mitigate chronic inflammation, the cellular and molecular mechanisms of action that underlie the observed pain relief, especially in the case of a radon therapy, are still largely unknown. As a result, the objective of the GREWIS researchers is to investigate with increasing precision the potentially helpful aspects as well as the risks of low-dose exposure to radon and to put this therapy on a solid scientific foundation. “We now have a good basis on which we can build and refine the questions we are asking,” says Project Lead Claudia Fournier regarding the new joint project. The cooperative work in the GREWIS project, which was launched in 2012, has been very successful so far. The researchers were able to clarify key questions regarding the physical and biological effect of the treatment and to demonstrate the resulting cellular changes. One of the aims of the first project was to create a radon chamber on the GSI campus. Experiments in this chamber have generated new insights, primarily through targeted examinations of tissue. For example, these experiments provided the first indications of the extent of DNA damage in organs such as the liver, lungs, kidneys, and heart after exposure to radon. A great deal of further research is still needed in this area. The researchers aim to use such insights to evaluate the risks and long-term effects of this radiation more reliably and to control the dosage of a radon therapy more effectively. These insights can also help medical personnel to decide whether a certain healing cave or therapeutic bath would be more appropriate for an individual patient, or whether a completely different therapy should be used. Investigations conducted as part of the GREWIS project have also provided insights into the concrete mechanism by which radon therapy works. It was surmised that the activation of the patient’s immune system plays a central role in radon’s effects. However, the immune system responds to many stimuli, including warmth. As a result, it’s necessary to find out whether a warm radon bath has positive effects on pain relief or the alleviation of arthritis because of the heat or because of the radon. The scientists are therefore also trying to decode radon therapy’s underlying mechanisms in particular. In a new study that was published this year, the clinically observable pain-relieving effect of a radon therapy was associated for the first time with concrete changes in certain types of immune cell. For the first time, the study revealed a modulation of the immune cells of peripheral blood (the blood circulating through the blood vessels) after a standard radon bath therapy. These modulations could be connected with the suppression of inflammations. “We’re seeing a reduction of inflammatory factors in the serum of patients undergoing radon therapy. This reduction gives us indications of a suppression of an existing inflammatory immune reaction. In addition, in the patients’ serum we’re seeing a reduction of markers that indicate bone loss. Trials in irradiated cells have shown that the number and activity of bone-absorbing cells is decreasing. Both of these factors indicate that the bone loss is slowing down,” explains Professor Fournier. The objective of GREWIS alpha is to add concrete details to such insights and to do even deeper research — for example, to go one step further in determining organ doses and also the long-term genetic risk — and to find out whether it’s really the radiation that causes the described effects of a radon therapy. The researchers also want to investigate, in greater detail than before, the molecular mechanisms that could depend on an interplay between the immune system and bone metabolism, according to the findings gained so far. They also want to investigate whether radon binds to the pain receptors in the body and thus changes the patient’s perception of pain.